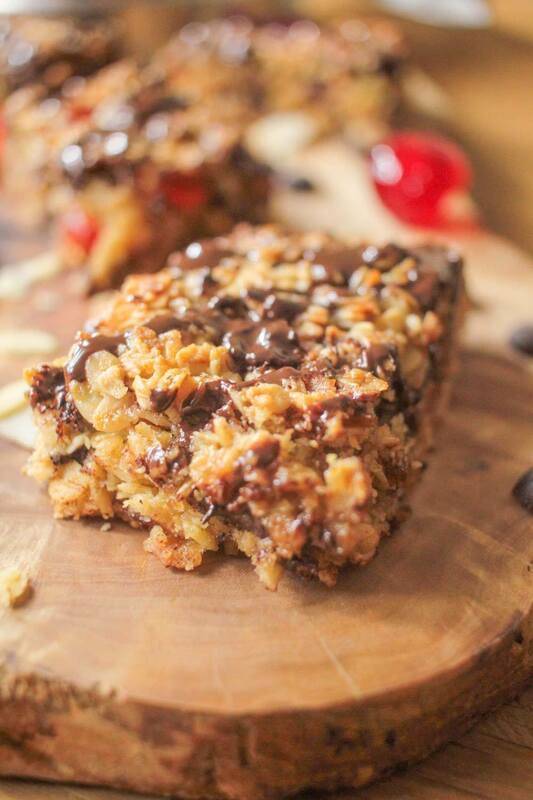 Everybody loves a flapjack for breakfast or an afternoon snack with a cuppa tea or coffee! Why don't you make your own - they're so easy! Pre heat the oven to 180°C / 160°C fan / gas mark 4. Grease and line a baking tray. Melt the margarine, sugar and honey in a saucepan on a medium heat, being sure not to boil. Remove from the heat and add the cherries, almonds and oats then mix everything together. Add your dark chocolate chips and stir in. Tip the mixture on to the middle of the baking tray and shape it into a rectangle about an inch high. Once your flapjacks are cooked let them cool on the side, leaving them in the tray. Once it has cooled down, melt the dark chocolate and using a spoon flick over the top on your flapjack. Leave the chocolate to settle and cut in to fingers. Serve and enjoy!